One Line Status | If you're looking for some short statuses to share with friends then you're at right place. 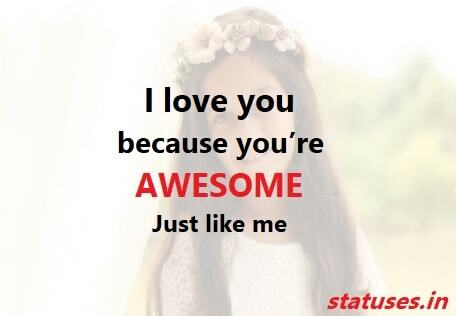 Here I've shared many cool one line status messages for boys and girls. लड़की की हँसी और कुत्ते की ख़ामोशी पर कभी भरोसा नहीं करते!! कैसी ये लगन लगा दी तूने, प्यास मिटानी थी, मगर बढ़ा दी तूने!! जिंदगी में सभी का प्यार पाने का एक आसान तरीका है.. हमेशा नासमझ बने रहो…! 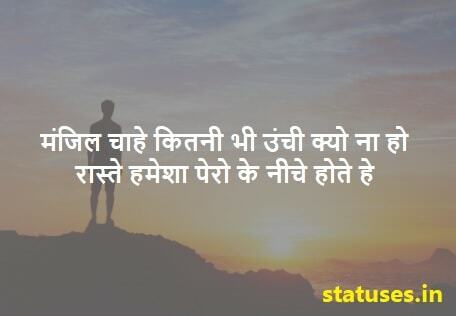 अजीब दस्तूर है, मुहब्बत का जनाब, रूठ कोई जाता है, और टूट कोई जाता है!! Maine Bhi Badal Diya Zindagi Ke Azool Ab Jo Yaad Karega Sirf Vahi Yaad Rahega. 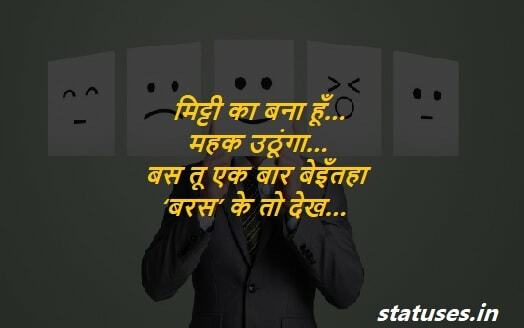 चलो मर जाते हैं तुम पर…!! बताओ दफ़न करोगे सीने में…? They say that alcohol kills slowly. So what? Who's in a hurry? I’m in my happy place. PLEASE DON’T RUIN IT! So these were popular short one live status on love, attitude, life for boys and girls to share on whatsapp and facebook. I hope you've enjoyed them and shared this page with your friends. Read our other status collections and don't forget to comment down.